Thankfully for those of us who enjoy a good old bit of integrity in football, there hasn't been a major match fixing or drug scandal for a few years. But if football history has taught us anything, there's usually some sort of shady business bubbling under the surface, ready to erupt when we least expect it. This series recounts some of the biggest scandals in the history of football. 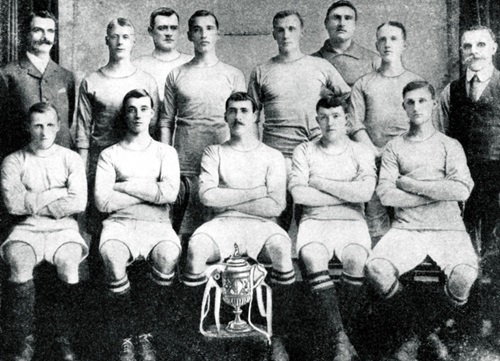 In the first decade of the 20th Century, Manchester City were one of the best sides in England. Winning the FA Cup in 1904 and twice coming close to winning the league. After narrowly losing out to Newcastle United in the title race in 1904-1905 following a season ending loss to Aston Villa, the Birmingham club's captain Alec Leake accused City's Welsh star Billy Meredith of offering him £10 to throw the game. Meredith was found guilty of this impropriety by the Football Association and as a result was fined and suspended from playing football for a year. City, for their part, did not offer Meredith any support during his suspension and the enraged winger responded by lifting the lid on the club's own misdeeds. "What was the secret of the success of the Manchester City team? In my opinion, the fact that the club put aside the rule that no player should receive more than four pounds a week ... The team delivered the goods, the club paid for the goods delivered and both sides were satisfied." In an era of strict maximum wages, City were found guilty of making illegal under the table payments to players and as a result their entire squad were barred from playing for the club again. At an auction to distribute the players, four of City's finest including Meredith and Sandy Turnbull ended up at Manchester United. In one of football's enduring legends it's been said that United boss Ernest Mangnall had somehow rigged the auction in his side's favour. 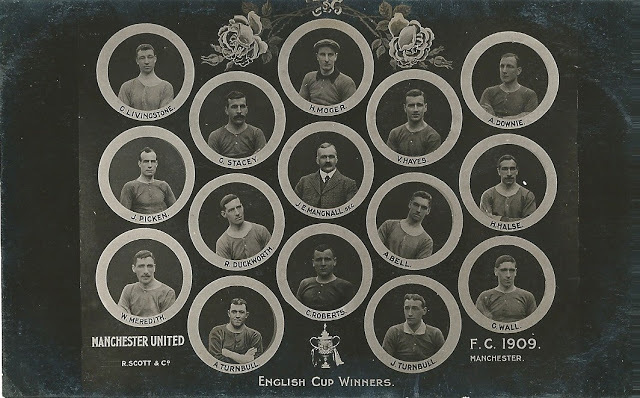 United were to immediately benefit at City's expense as they won their first League Championship in 1907-1908, which they followed up with their first FA Cup in 1909 at the Crystal Palace. The lone goal in that final against Bristol City was fired in by former City forward Turnbull and the man of the match was, naturally, Billy Meredith. 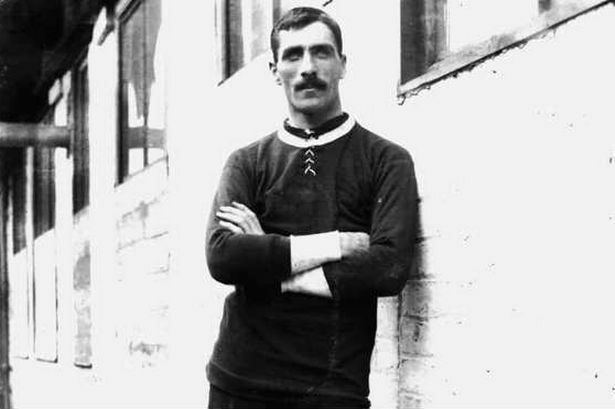 Meredith would go on to make over 300 appearances for United, helping the club to another league title in 1910-1911 and in the process become their first true superstar. Thanks to the illegal payments scandal, and it's aftermath, the rivalry between Manchester's two clubs was firmly established.